Grand St., an Online Boutique for Electronics, Raises $1.3 Million « Adafruit Industries – Makers, hackers, artists, designers and engineers! Grand St., an Online Boutique for Electronics, Raises $1.3 Million @ NYTimes.com. 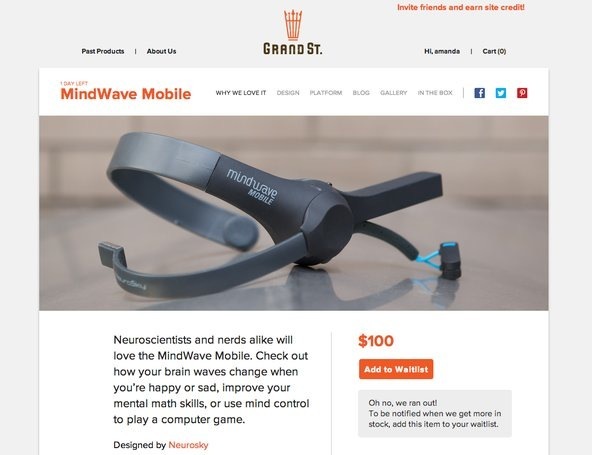 Grand St., a new start-up based in New York, wants to be the one-stop shopping destination for all of these quirky electronics wares. Every other day, it lists a new product for sale. Previous choices have included at-homesous vide cookers, smart watches, portable phone chargers and headsets that monitor brainwave activity. The company, which has slowly been building its audience since it put up a Web site this year, announced on Tuesday that it had raised $1.3 million in venture financing for the site. The round of investment was led by First Round Capital, Collaborative Fund, Betaworks and David Tisch, among others.